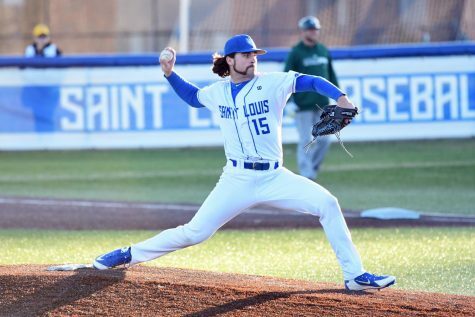 Fastball: Sophomore pitcher Robert Plohr closes the game against Kansas State, after freshman Connor Lehmann pitched a shut-out in the first 6 innings of his collegiate debut. The Billiken baseball team swung into the 2015 season this past weekend at the Snowbird Classic in Port Charlotte, Florida, bringing home a 1-3 record. 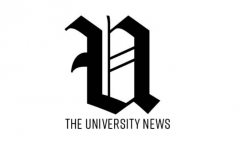 The team suffered losses to Pittsburgh, Iowa and Ohio State and finished the tournament with a win against Kansas State. The men opened against Pitt with a devastating 18-1 loss. SLU kept the Panthers to a 3-1 lead with a run from Jake Henson in the bottom of second, but Pitt came out strong in the fifth, scoring six runs and shutting the door on the Billikens. The Panthers scored in every remaining inning and went unanswered for the remainder of the game. 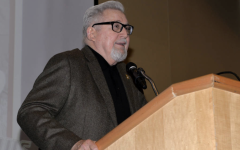 The Bills still could not find their groove on Valentine’s Day, tacking losses to Iowa and Ohio State onto their record. 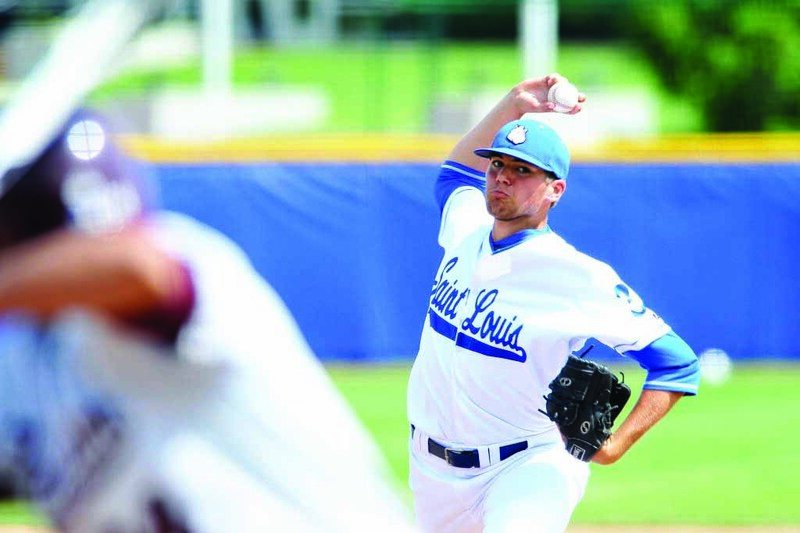 Despite the losses, the games proved promising for pitchers Zach Girrens and Clay Smith. Girrens allowed only one run, and Smith started the first six innings off against the Ohio State with only two runs and six hits allowed. 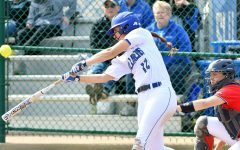 SLU fell to Iowa, 4-2, and Ohio State, 6-5. 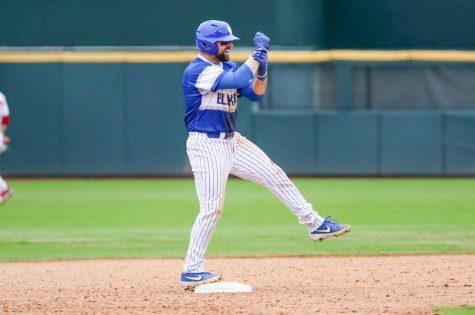 The Billikens still had one more chance to redeem themselves on the tournament’s final day, against Big 12 team Kansas State, and SLU did just that. 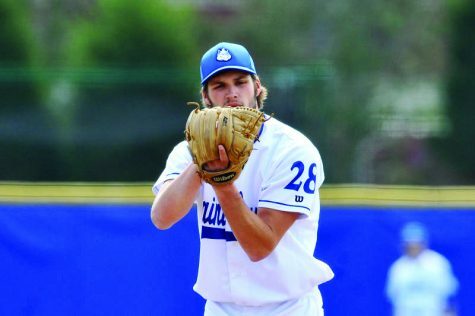 Freshman Connor Lehmann set the tone by throwing six innings and allowing no runs in his first appearance on the mound. 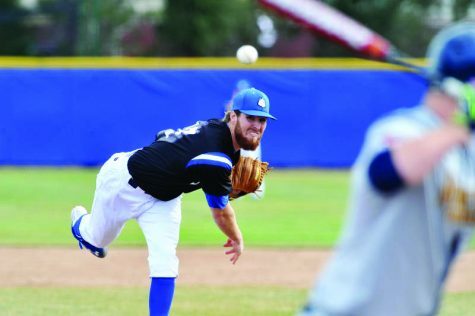 The offense for both teams proved dismal, as it was 1-1 at the conclusion of the eighth inning. Then, Colton Frabasilio stepped up to the plate. He singled right away and was followed by a single from Henson. 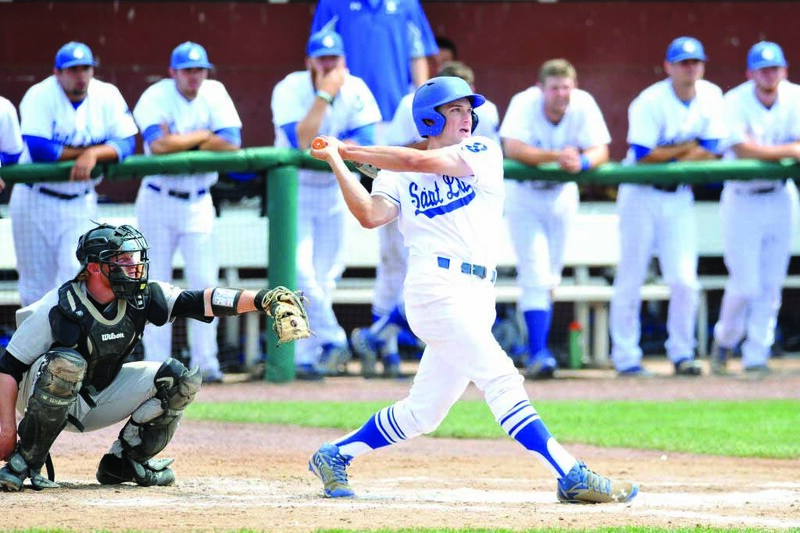 Michael Bozarth reached base due to a throwing error from the pitcher. Henson and Jeremy Phillips, Frabasilio’s pinch runner, scored. The Billikens weren’t even close to finished. 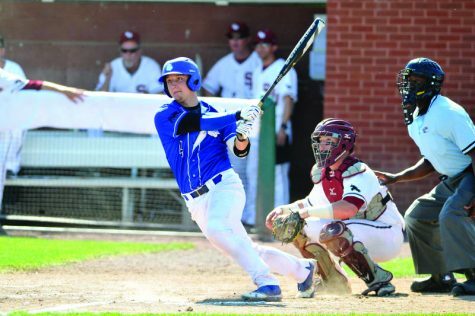 Singles from Danny Mannion, Alex King and Trent Leimkuehler earned the men two more runs. Late throwing errors from the Wildcats tacked on another two runs, giving the Billikens a 7-1 lead going into the bottom of the ninth. 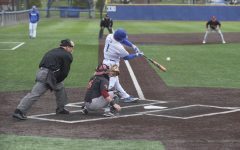 Kansas State attempted a late comeback, scoring three runs, but SLU closed out the game and collected its first win of the season, 7-4. Although not the result the men had in mind for opening weekend, the rest of the season looks promising for them. SLU was projected to win its fourth-straight Atlantic-10 Conference regular season title, according to a recent poll of A-10 conference coaches. 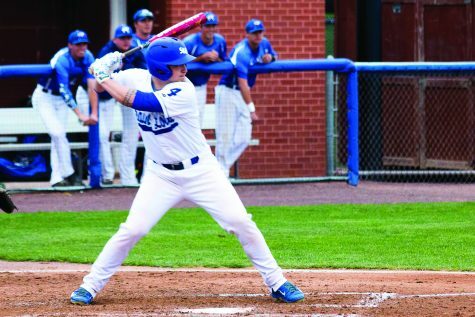 Another strong factor of this year’s squad is the seven returning starting fielders and 10 returning pitchers. However, the newcomers are looking to make their mark. 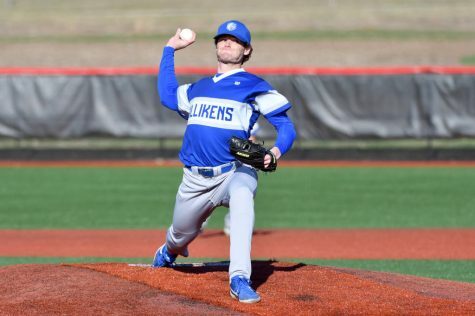 Freshman Connor Lehmann showed promise last weekend with his pitching performance against Kansas State, and 11 other freshman are also hoping to make an impact this season. 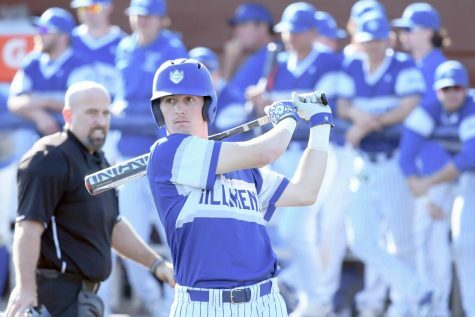 This team is definitely paving a new path for Billiken baseball with the leadership of head coach Darin Hendrickson, who is in his eighth season. Last season, the team produced a 34-21-1 overall record and an 18-7-1 conference record, breaking the school record for most conference wins in a season. 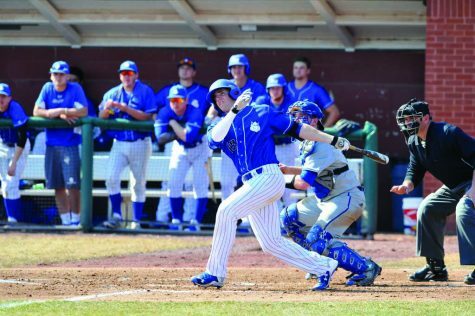 At bat: Freshman outfielder Kyle Fletcher swings for the fences in the season opener against Pittsburgh. 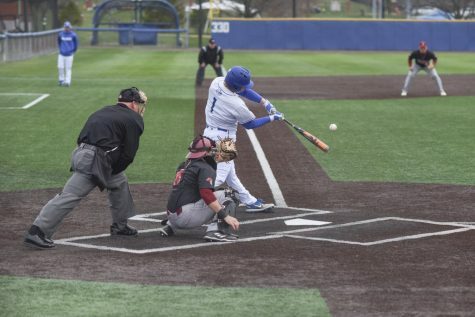 SLU faces big Atlantic-10 teams later on in the season, such as VCU, which ousted the Billikens from the conference tournament last season in the semifinals. Saint Joseph’s, George Washington and newcomer Davidson also face the Bills later in the season. 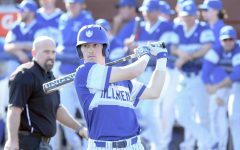 The Billikens will continue non-conference play down South again next weekend, as they travel to Pensacola, Florida, for the COX Diamond Invitational. They will face Troy at 2 p.m. Friday, Southern Mississippi 10 a.m. Saturday, and North Florida at 10 a.m. Sunday.